We will work quickly to determine impacts to school so parents can adjust plans accordingly in the early morning hours. 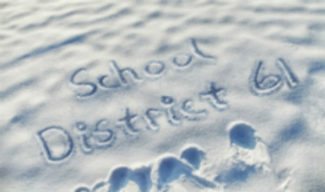 We try to determine school closures due to inclement weather by 6:30 am. Updates will also be posted on the Greater Victoria School District twitter account @sd61schools and on our Facebook page, Greater Victoria School District. Help us share updates by sharing posts with your friends and followers on Twitter and Facebook.